Title: Microscopic bedbug scanning electron micrograph. 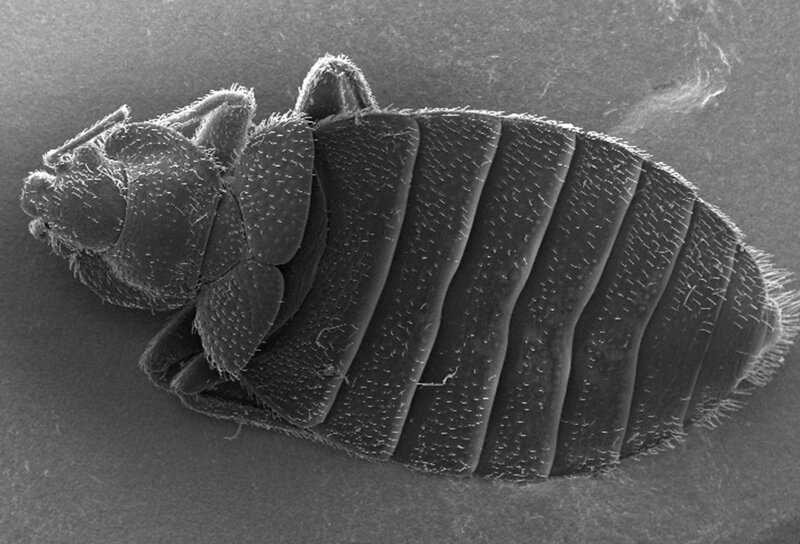 Description: This scanning electron micrograph (SEM) revealed some of the ultrastructural morphology displayed on the dorsal exoskeletal surface of a bedbug, Cimex lectularius. Note the numbers of what appear to be 'hairs', but are actually known as setae, which are sensorial in nature, and are composed of chitin, as is the entire exoskeleton.